Popularly regarded as Volunteer Travel, Voluntourism is a recent form of tourism which involves volunteering for charitable causes by travelers to help communities or the environment in the places they are visiting. Volunteer travel varies from low-skilled to more professional and high-skilled work; it could be short-term or long-term. Volunteer travel participants share a common desire to “give back to the world”. This could be in terms of “doing something beneficial” to the world as a whole, to a non-profit motivated organization, to a particular community or to the natural environment whilst experiencing new places, having fun, and promoting sustainable and responsible travel. This is done in many ways; ranging from helping in cleaning local wildlife areas, giving goods and money to local schools or marginalized groups of people, to intense volunteer programmes like medical aid services, scientific research and education, and any other technical services especially to community development projects of a foreign country. The Great Trekkers Safaris recognizes voluntourism as one way of contributing towards development of environmentally, economically and culturally responsible travel because of its anticipated positive outcomes. As a community based responsible and fair tour agency, we strongly believe in promotion of tourism which is beneficial to communities. It’s through Voluntourism that our core objectives can fully be realized in one way or another once people get to attain practical skills, earn some income from travelers, conserve nature and environment in the most eco-friendly measure. 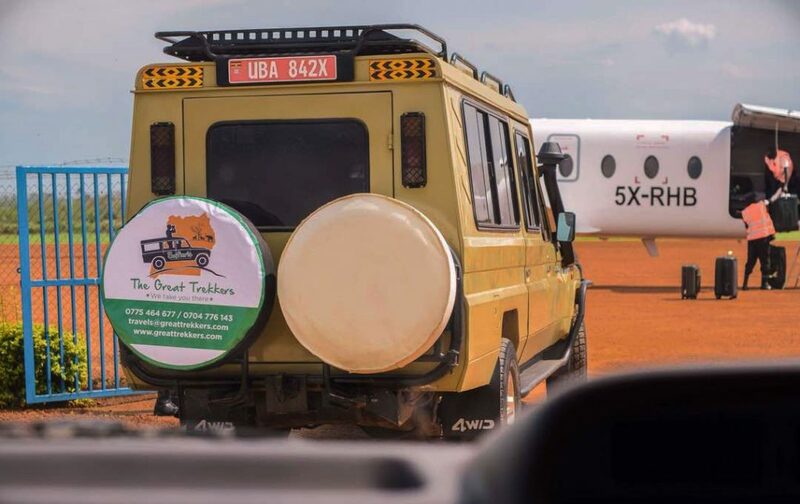 As Great Trekkers Safaris, we believe that there are so many travelers out there who are able and willing to have an opportunity to bring benefits to the people in the under developed world like Uganda. Besides, we have received a good number of travelers who have shown interest in helping the local person in one way or the other. Thus we do believe that we stand in a better position as a local partner to make sure that whatever it meant for positive empowerment of our communities is effectively and efficiently delivered to the intended recipient since we have a long-standing and rich relationship with a our local communities. Most programs are available year-round. We request Travel volunteers to get in touch with us in time depending on your area of interest and we shall arrange for you the most suitable program that will make your stay once in life time experience. The Great Trekkers Safaris is in partnership with several community based organization. The company is working with the conservation communities around Lake Mburo National Park where the company has established a community camp site and it’s on this very eco-friendly camp site that all our volunteers will have a hands on experience while working on several conservation projects on this very camp site. The Company has a good working relationship with several hotels and home stays both in central and western region of Uganda thus we always give all our volunteers a chance to work in various hotels, cultural centers, museums and home stays to have a practical hands on experience in various departments, Hospitality management, Front desk reservations, catering and above all they get to relate with both their supervisors and customers. Do you like working outdoors and getting your hands dirty? Interested in seeing the impact of climate change in the tropics? Come volunteer at a local farm and help a community achieve food security and environmental sustainability. Volunteers work alongside Ugandans digging and maintaining demonstration gardens to promote better nutrition, efficient use of land, natural pest control, soil conservation, and income generation. Depending on the season, volunteers prepare soil, plant, weed, chase pests, or harvest crops. Volunteers are given basic training and appropriate tools upon arrival, but bring gloves, a hat, and rubber boots if you wish. This project requires working in the sun. Volunteers take part in a flexible schedule, which includes Teaching English, Art, Music Dance and Drama in selected Primary and Secondary schools not excluding sport programs. Great Opportunities exist for those who are fluent in English. The Great Trekkers Safaris has been supporting two community based primary school (Nyabuhama and Rwenjeru Primary) where you can spend time extending some basic skills to these vulnerable children. 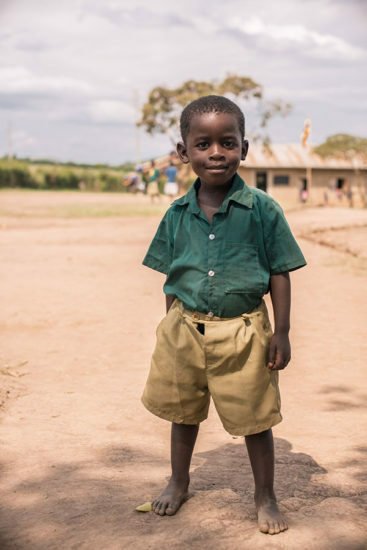 In Uganda, income levels determine your children’s quality of schooling. This creates a large gap amongst student’s education. Most upper-class children receive ideal English instruction, but children of poorer families and communities lag far behind. This educational gap grows as children progress through their schooling and eventually into the workforce. Our English teaching internship programs in Uganda benefit local children and orphans by helping them develop useful English language skills. The demand for English-speaking Ugandans is becoming more prominent as the tourist industry grows. Improving these children’s conversational English in Uganda makes for a better future and also prepares them to compete and participate in the global market. The actual attitude of an individual volunteer should be appropriate; “desired for” the local community as well what one can learn from the hosts. We do encourage both long-term and short-term volunteer placement depending on the type of programme. Cases that involve helping marginalized children or groups (orphans, the disabled, other needy people) require long term commitment by the volunteers compared to activities like environmental research, cleaning local wildlife areas, planting trees, etc. We as an agent may not have some specialized skills to be able to offer placement for all kinds of volunteers. Therefore we have prioritized some of the needs of our communities and established avenues where we are sure that we can perform effectively. Below are some of the ways in which a traveler can volunteer with our clear guidance and support. Local Partner non-profit organizations: We hold memberships with a few local organizations that deal in environmental research, education and awareness. These organizations have specific programmes that may require expertise in different fields like proposal writing, fundraising and advocacy etc. At the present time, we work closely with 2 communities in Nyabuhama, Rwenjeru and Lake Mburo conservation groups. Local schools: There are quite a number of local schools that are established in remote areas and are unable to access some of the basic facilities, like well equipped libraries, modern amenities like toilets, special attention to the incapacitated schoolmates, structures like classrooms, or even minor requirements like books, pens or pencils. Local organized women groups and other vulnerable people: these may be near a protected area or a valuable natural resource and are struggling to find ways of benefiting from the resource close to them. Support could be rendered in terms of technical advice through education, financial aid, partnerships / network / linkage with an external organization with similar objectives. Eco-home stays: there are a few eco-homes and model villages that have been identified to help a traveler have better insights on how to live and interact with the local people while enjoying a few material comfort in a Ugandan village setting. Though this activity is so recent in Uganda, we believe that your staying with a family or in a community may give you an interactive experience with local people. In addition, you bring your hosts direct income and your purchase of goods and services brings returning benefits to others in the community. As a Social enterprise we realized the need to supporting children education among the most vulnerable families who are staying in the most rural conservation communities of Lake Mburo National Park by taking them to school because we discovered it that most of the conservation areas which had the highest number of hunters and poachers were dominated by the highest number of school drop outs who would engage in hunting/poaching activities as a way of raising some income to sustain their lives. 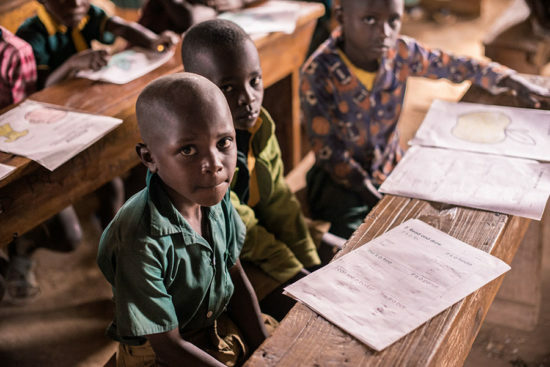 This has not only enabled these children to acquire education but it has also created a safe environment for the animals in Lake Mburo national park which was facing extinction and encroachment from the indigenous pastoral tribes of the Bahiima. 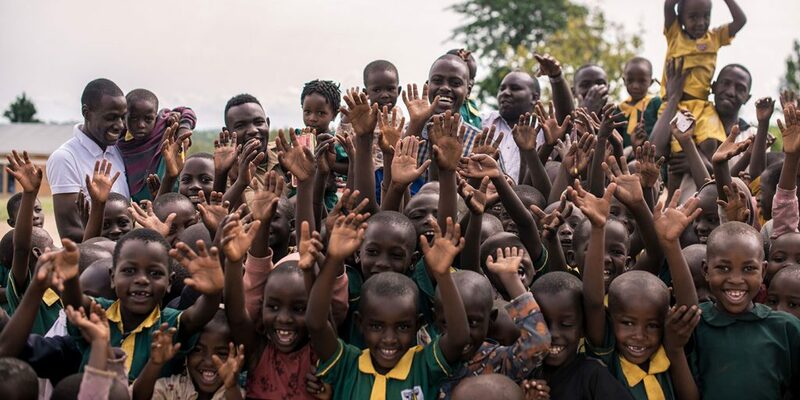 As a company we have not just stopped at sponsoring these children in school but we have opened up wild life clubs in all the 4 primary schools in the conservation areas of Lake Mburo and Bwindi impenetrable national parks where pupils are being taught the need to conserving our nature and environment. Due to the fact that we are the only registered Tour Company located in the Western region which is focusing on community and domestic tourism, The communities of Rwenjeru found it very important to work with us. The owners of the Community land have entrusted us with their land such that we design better strategies on how to promote and develop the site. The 12 hectares of community land is strategically positioned and it borders Lake Mburo National Park with great scenic views good for Camping. And we have so far we organized 12 successful Camps at the Site and also conducted several outreach Community programs to the nearby communities where we sensitized the communities the Role of local tourists in boosting domestic and community Based Tourism. 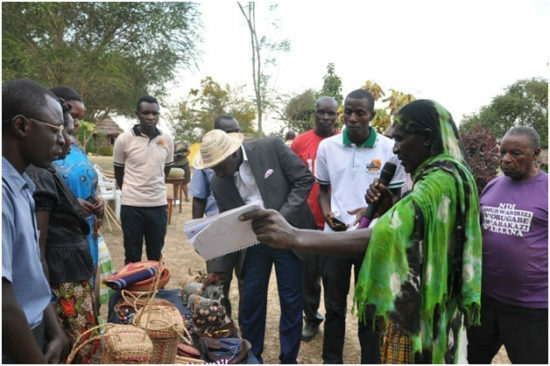 As a social enterprise tour company, we have created an open Craft Village Market on the camp site where every month we invite all the communities in this conservation area to come to the camp site with their locally produced items, crafts, food produce etc where they get to sell and have market for their goods. We have also established this community camp site as a regular stop over for all our visitors, clients and volunteers in all the packages we are marketing. Purpose: To empower communities within conservation areas by fronting community based tourism for sustainable development. We are fully committed to supporting growth and development in the tourism sector and overall economy of Uganda. Contribute positively to our communities and our environment by promoting eco-tourism and sustainable community based tourism projects. Establish a market presence that assures short-term and long-term profitability, growth and success both the company and to the community at large.